Tangle is a cute little rabbit designed by Bear Artist Heather Lyell. With her wispy soft fur and sweet face with cuddle me eyes, you wont be able to resist her. 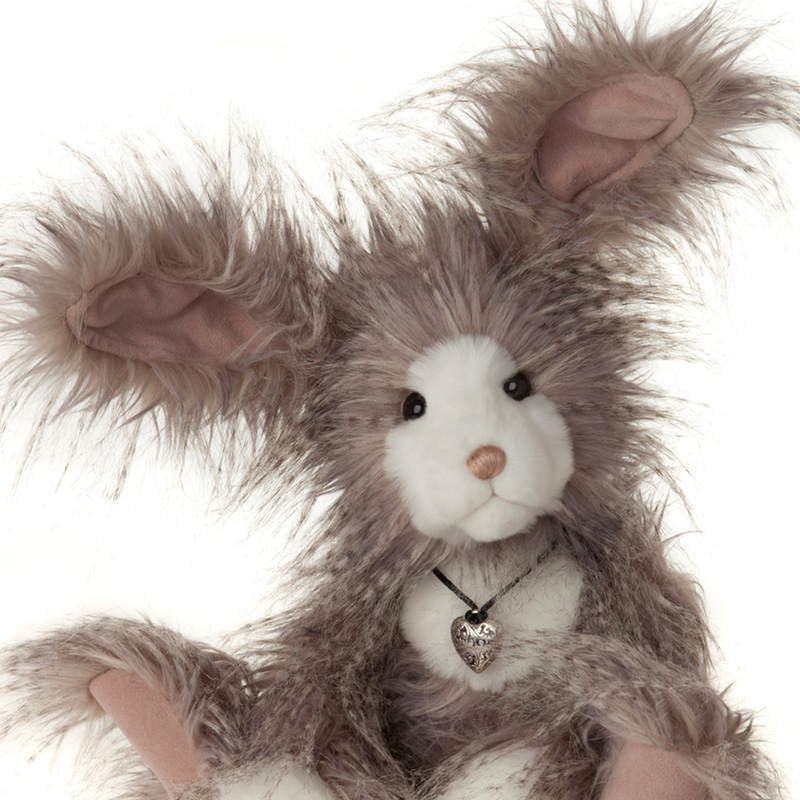 This adorable rabbit is part of the Charlie Bears Plush collection for 2014 launched in February 2014. Tangle has a small pink nose and soft pink leatherette paw pads and sweet bobtail. All Charlie Bears are limited in Production. For more details visit our Products section. 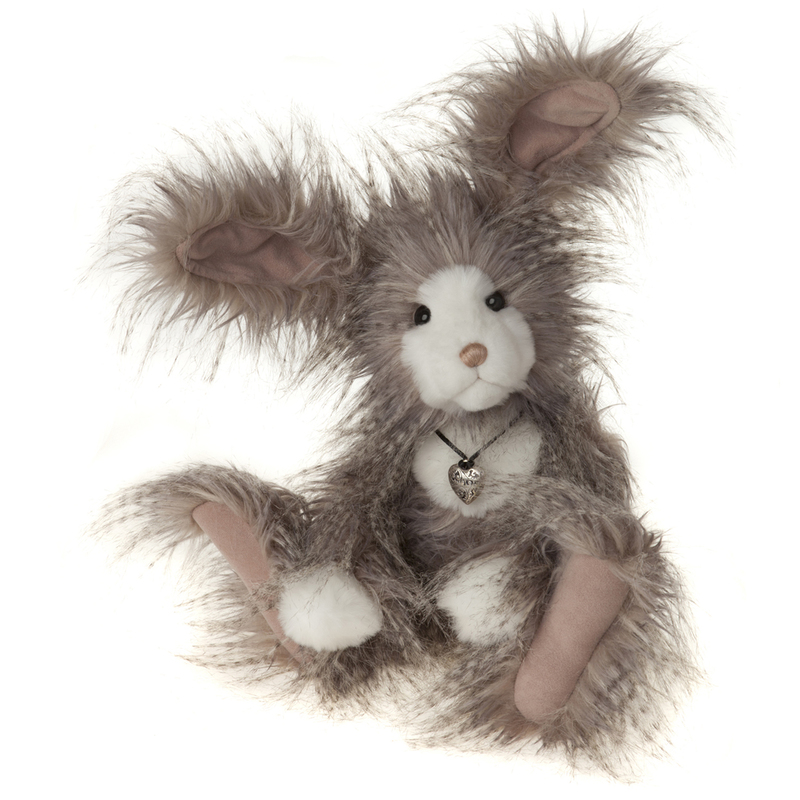 Tangle is a collectable bear suitable and tested for children over the age of 3 years only.